Volvo is venerated for its estates, and the V50 is no exception. On sale until 2012, it added a welcome dose of style to the practicality, safety and space common to all Volvo's. Beautifully made, with a versatile load bay, later versions offered you a choice of three engines: a 2.0-litre petrol, a 2.0-litre diesel and a frugal 1.6-litre diesel offering low emissions and cheap road tax with 113bhp. If you’re in the market for an Approved Used Volvo V50, contact the Waterhouse team today. If we don’t have one, we’ll scour the nation to find the one you want via the Volvo Selekt Approved Used database. Buying your used Volvo V50 through the Volvo Selekt Approved Used scheme offers peace of mind. 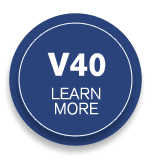 This ensures your V50 will have had the latest software upgrades installed and provides at least six months’ warranty, including MOT Test Cover, Volvo Assistance at the roadside, and a 30-day/1,500-mile exchange promise.